Reality Check: How Much Impact Can the Feds Have on Solar? The investment community isn’t as bullish on federal grant and loan guarantee programs as company execs. At least one analyst expects the shipment of solar energy equipment worldwide to fall 25 percent. It's easy to opine about how the various government spending plans on renewable energy – whether they are in the United States or China – will be a great boost for the struggling solar industry. But it's harder to assess and determine how big the impact of the policy and funds would be. At Intersolar North America in San Francisco this week, bankers and financial analysts are offering a less exuberant view of the impact of government aid. Not only would the solar market need public money, but it would also need a heady fusion of private money worldwide before it perks up again, said Vishal Shah, a senior analyst with Barclays Capital, at a panel Wednesday. "We are seeing improvements in bank financing and the credit market. We are not seeing the positive impact yet, but I would imagine that during the second half of 2010 we will see that money flowing into the sector," Shah said. Shah's sentiment echoed what Mark Zanoli, managing director of investment banking at JP Morgan, said at the conference earlier this week. "The tax equity market has collapsed. Unless we revive that market concurrently, then we are heading to a cliff," Zanoli said. "The cash grant is only a two-year program – what happens when the government no longer writes checks?" Zanoli was referring to a newly created program that would essentially provide a 30 percent rebate to developers for the cost of installing solar power projects in the United States. The U.S. Department of Treasury issued guidelines last week to explain its rules, but it's not going to start accepting applications for a few more weeks (see Feds Almost Ready to Issue Renewable Energy Grants). Shah said money could start trickling in from the grant program this year, but it isn't likely to flow in full force until the second half of 2010. Developers won't receive the money until after the projects are up and running. The same is true for another DOE program that many solar companies have pointed to as a lifesaver – a loan guarantee program to help companies manufacture solar energy equipment and build solar farms. The DOE hasn't released the guidelines for the loan guarantee program yet. Getting those loan guarantees won't be easy, said Nathan Campbell, senior vice president of Macquarie Capital Advisors, at the conference earlier this week. "I'd be nervous saying the DOE loan guarantee will be a great growth to the industry," Campbell said. "It will take a lot of time and steps that you don't expect." 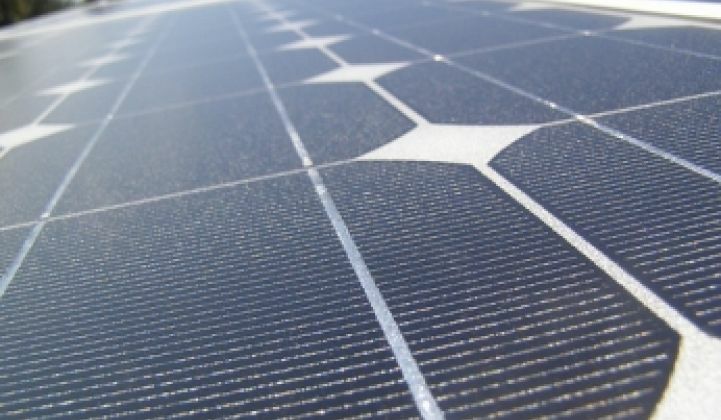 For the global solar market, Shah said 2009 will be a tough year. The market has been battered by an oversupply of raw material and components for making solar energy equipment, a result of a large-scale buildout of factories that began prior to the financial market crash last fall and the soft market demand that has occurred since. Shah projects a 25 percent decline in shipment this year from 5.8 gigawatts in 2008. "The industry was somewhat optimistic at the beginning of the year, talking about a flat growth for this year," Shah said. "The oversupply problem still remains."